As Fashion Week comes to a close today in NYC and moves across the pond, I thought it would be a good time to talk about a man in fashion who I have profound admiration for. His name is Tomas Maier. Maier is widely admired by many for both his fashion design and his passion about craftsmanship, architecture, and preservation. He has been the Creative Director at Bottega Veneta since 2001. Bottega Veneta is a luxury lifestyle brand established in Vicenza, Italy that makes leather goods and ladies’ and men’s pret-a-porter, fine jewelry, furniture and other products. Mair has been a pioneer in seeking to preserve the heritage of craftsmanship that has long been the central focus of the brand. You know how much I love that! Now Maier is becoming a pioneer of another sort. 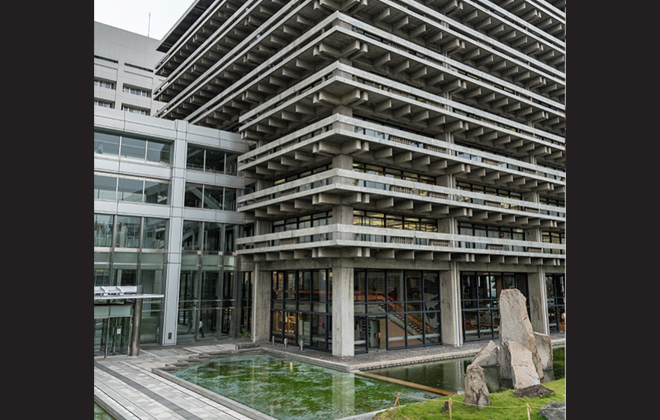 In partnership with the Japanese publication Casa Brutus, Maier and Bottega Veneta have launched an initiative to raise awareness of the potential destruction of numerous significant Modernist buildings in Japan due to economics, politics and the preparation for the 2020 Olympics. 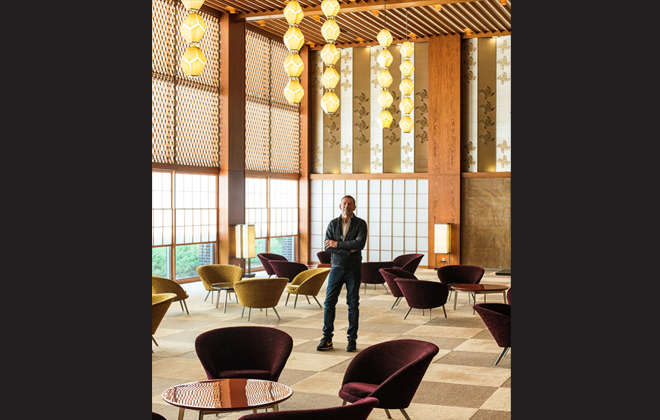 Maier in the lobby of the Hotel Okura. All images by Bottega Veneta. 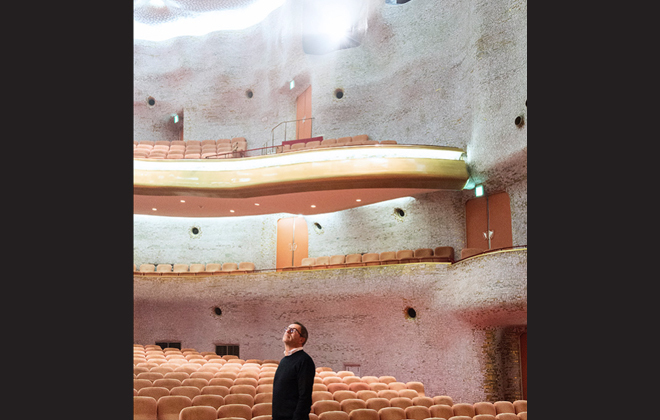 Maier in the Nissay Theater from 1963 by Togo Murano. 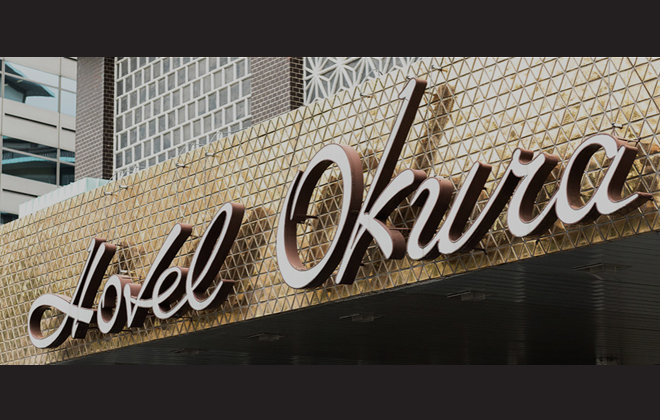 More images of the interior of the Hotel Okura. How about that wallpaper? 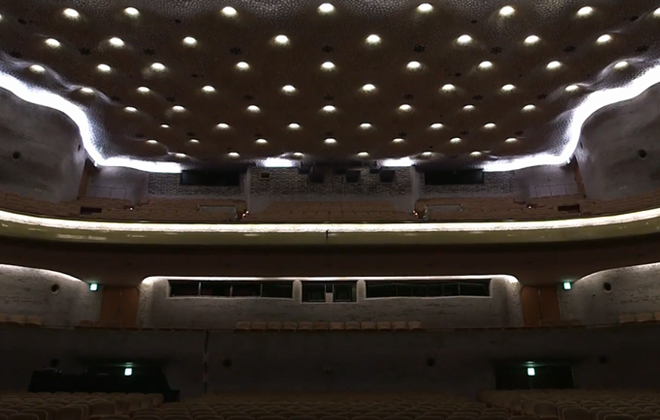 Kagawa Prefectural Government Office from 1958 by Kenzo Tange. Please take a moment to read more about Maier’s initiative here. I hope you will enjoy looking at the images of this amazing architecture and learning more about this effort as much as I did. They truly deserve preserving. 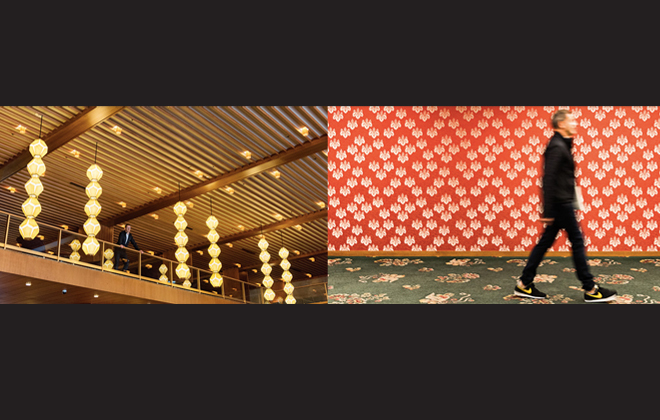 I am so appreciative of Maier’s and Bottega Veneta’s efforts to save this whole movement in Japanese architecture that I didn’t really know existed. I hope it exists for centuries to come because it is truly impressive and truly irreplaceable!